The Florida Sports Hall of Fame has embarked on a journey to take its message and its membership across the state of Florida to promote fitness awareness, education and to share stories of grit, discipline and determination shared by its honorees. Opened in 1985, the Shriners Hospitals for Children – Tampa has been bringing love to the rescue to almost 60,000 children with orthopaedic conditions. It’s world-renowned specialty care, innovative research and outstanding teaching programs have been turning patients back into kids for more than 30 years. One of few facilities to successfully perform surgery to separate the legs of a patient diagnosed with sirenomelia – commonly known as Mermaid Syndrome. In 2017 became the first hospital in the Tampa area to utilize EOS, a state-of-the-art system that provides 3-D imaging while dramatically reducing radiation exposure. In a development related to tonight, it became the first Tampa-area hospital to open a Timmy’s Playroom, which was stocked and supplied through the generosity of the Tim Tebow Foundation. Shriners Hospitals for Children has evolved into an international system of 22 hospitals recognized for their devotion to transforming the lives of children through expert care and research. It has developed into the destination of choice for parents whose children have orthopaedic conditions, burns, spinal cord injuries,cleft lip and palate, and other complex surgical needs. Patients are accepted regardless of their families’ ability to pay, creating no barriers to first class medical care. For these reasons, the Florida Sports Hall of Fame is pleased announce the Shriners Hospital for Children – Tampa as the 2017 recipient of the Fame for Fitness Award and encourages all Floridians to support this organization and its great works. Founded in 2011, the Sam Fuld T1D Sports Camp provides a unique camp experience for children with Type 1 Diabetes. 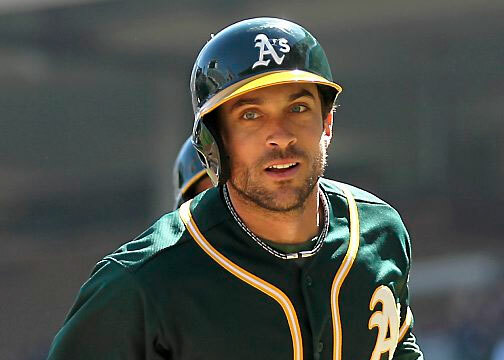 The camp is a result of the vision of current Oakland A’s outfielder Sam Fuld, who has T1D himself. While visiting the USF Diabetes Center in 2011 as a Tampa Bay Ray, Fuld expressed his desire to start a sports camp specifically for kids with T1D. The guiding mission for the camp has always been to instill in kids living with T1D the belief that diabetes does not have to hold them back, that they can take control of their disease and achieve excellence in sports and in life. Staffed solely by current and former pro and collegiate athletes who also have T1D, the sports camp offers children ages 8-17 the opportunity to improve their game under the guidance of athletes with whom they can relate. The two-day camp allows them to meet and play with their peers and normalizes the constant vigilance they must practice with regards to managing diabetes while pushing themselves on the field. While being challenged to rise to their athletic potential, campers hear the coaches’ own diagnosis stories, discuss how they manage their diabetes while playing and witness them check their blood sugars, adjust their insulin, etc., making this camp uniquely special for those who attend. In collaboration with Florida Diabetes Camps, and SLAM Diabetes whiffle ball tournament, the USF Diabetes Center provides the logistical planning and medical staffing support in partnership with USF Athletics. Campers choose from baseball, softball, soccer, football, tennis, volleyball, basketball, golf, cheer and dance and can participate in up to four different sessions over the two day camp. All sports training sessions are held on the USF campus with the majority taking place on USF Athletics official fields. While the camp activities and ceremonies center on the kids in attendance, the camp also supports the notion of providing increased parent education as a means to improving T1D kids’ outcomes. Thus, there is also a Parents’ information session each year led by the USF Diabetes Center medical staff, including Medical Director, Henry Rodriguez. During this session, parents receive T1D education but also have the opportunity to Q & A with a variety of diabetes providers as well as with Sam Fuld. The 2016 Fame for Fitness award winner is truly a hero for kids living with T1D. He is an example of someone who has achieved his dreams by competing at the highest level in his sport, all while managing his diabetes and living an active, healthy life. Meeting Sam is the highlight of every camper’s experience and his story and commitment to improving the lives of kids with T1D is truly inspirational. Growing up in Boynton Beach, Joe Ostaszewski was an active, athletic child, eventually playing varsity football and earning a full scholarship to FSU. But his weight really increased at age 28, when he began exercising less, but continued to eat like an active football player. At age 43 and 364 pounds, Joe was experiencing weight-related health issues. It was brother Henry’s challenge to Joe and vice-versa that inspired the duo to try out for the hit TV show “The Biggest Loser.” The brothers, competitors all their lives, decided to get back into shape together and applied to the show that follows the weight loss of a group of overweight contestants and awards one contestant a $250,000 grand prize. Joe was accepted for the show and while he did not win, he lost 147 pounds and got his life back. Henry began “wearing his soul” at a young age and hasn’t taken a day off since. Prior to founding the Wear Your Soul Foundation in 2009, he was an accomplished account manager at an interior design and architecture firm, a Pittsburgh Steeler, a Florida State Seminole, and a big brother, but feels that he’s finally found his purpose in life. Right now, Henry is on his own path to improve his lifestyle, and is a role model for kids who want to embrace a healthy outdoor lifestyle and seize the spirit of adventure. 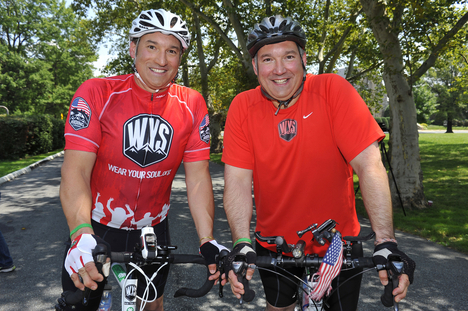 Together, Joe and Henry Ostaszewski’s dream is that every child is empowered with the tools and programs they need to become the “Change Agents’ in the fight against childhood obesity. 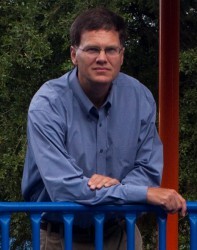 John O. Spengler, JD, Ph.D. is a Professor in the Sport Management Program at the University of Florida. The current focus of Spengler’s research is on legal and policy issues around sport and recreation safety, obesity prevention and physical activity. Spengler’s research has been funded by Robert Wood Johnson Foundation to study policies relevant to community access to sport and recreation facilities in lower-income communities of color. As an American Heart Association volunteer, his research has informed policy and advocacy efforts at the state and national level to improve community health through physical activity. He has disseminated the results of his research in over fifty journal articles, commissioned research briefs and papers, and through numerous webinars, professional conferences and meetings. Spengler is the Director of the UF Sport Policy and Research Collaborative (SPARC), the official research partner of the Aspen Institute’s “Project Play.” He also serves on the advisory board of “Project Play”, an Aspen Institute project designed to improve the health of children and communities through sport. Spengler is also the President of the Sport and Recreation Law Association and Associate Editor of the Journal of Legal Aspects of Sport. In addition to research and outreach activities, Spengler is an enthusiastic teacher, having received two University of Florida teaching awards, as well as national teaching recognition. He is the author of two book chapters and four college textbooks (three as first author) that are used in classrooms across the country. Honors include selection as a University of Florida Research Foundation Professor in recognition of outstanding research and scholarly achievements, receiving the Florida Sports Hall of Fame, Fame for Fitness Award in recognition of his work on childhood obesity prevention, an invitation from the American Heart Association to serve on a policy statement writing group, receipt of the AAPAR Safety and Risk Management Distinguished Scholar Award, and selection as an AAHPERD Research Consortium Fellow, and Sport and Recreation Law Association Research Fellow. Son of NFL Hall of Fame safety Ronnie Lott, Ryan Nece has spent his entire life in the place where sports and business intersect. Nece received his Bachelor’s Degree in business economics from UCLA, where he starred on the football field as a linebacker for the Bruins in the late 1990’s, when they were nationally ranked and Pac-10 Champions. After graduation, Nece signed with the Tampa Bay Buccaneers as an undrafted free agent on April 22, 2002. During his rookie season, Nece was awarded Rookie of the Year honors with Tampa Bay the same year they won the World Championship at Super Bowl XXXVII in San Diego. What followed was seven seasons in NFL, including six years with Tampa Bay and a year with the Detroit Lions. Nece was a three-time team elected captain and served four years as the team elected NFLPA Player Representative while with the Buccaneers. In Detroit, Nece was the only player in the NFL to be a starter and lead his team in special teams snaps and tackles. Nece has stayed active in business and charity life in parallel with his NFL football career. He sits on the board of the Tampa Bay Sports Authority and Tampa’s Lowry Park Zoo. He has also completed NFL Business Management and Entrepreneurial Programs at the Stanford Graduate School of Business and Harvard Business School. In 2006, he created The Ryan Nece Foundation in an effort to better the communities where he lives and works. His foundation strives to provide physical, fianncial and spiritual assistance to those in need through various foundation programs for youth and families. Also, Nece launched the Power of Giving campaign in June 2009 to encourage individuals to become involved in the needs of their community. Annika Sorenstam is the greatest female golfer of our generation and often regarded as the best of all time. During her 15-year Hall of Fame career, she rewrote the LPGA and Ladies European Tour record books, won countless awards and changed the way women’s golf was played, viewed and covered. She amassed 89 worldwide victories, including 72 on the LPGA, 10 of which are Major Championships. She has a record eight Rolex Player of the Year awards and holds the record for the lowest scoring average in a season (68.6969 in 2004). She has a record six Vare Trophies for the year’s lowest scoring average. She is the only female to break 60 in an official event, which garnered her the nickname, “Ms. 59”. Annika was the first and only female to cross the $20 million mark for LPGA career earnings and her total of over $22 million is nearly $6 million more than th enext closest competitor. Annica was the Associated Press Female Athlete of the Year from 2003 – 2005 and the Golf Writers Association of America Female Athlete of the Year in 1995, 1997, and from 2000 – 2005. Annika stepped away from competitive golf at the end of the 2008 season to further pursue a family and the ANNIKA brand of business. She authored her second book, Golf Annika’s Way, and partnered with Cutter & Buck to develope the ANNIKA Collection – her very own, high-end female golf apparel line. The collection has done very well and has grown from two to three lines per year. Annika also has a growing Golf Course Design business with eight projects at various stages of development around the world.